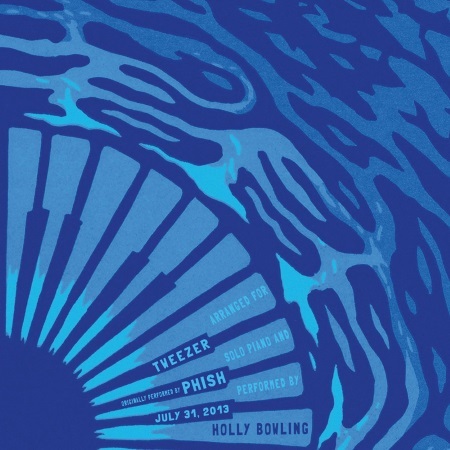 Holly Bowling's piano version of the monster Tweezer performed by Phish at Lake Tahoe on July 31, 2013 is released on 180 gram transparent blue colored vinyl thru The Royal Potato Family. Bowling painstakingly described the twists and turns of the Vermont's on-the-spot musical improvisation. Taken from her Distillation of a Dream: The Music of Phish Reimagined For Solo Piano 2CD. HCTF review of Distillation of a Dream: The Music of Phish Reimagined For Solo Piano.